So, there can be no liability in everyone guarding against extra radiation exposure. Radiation does cause cancer. How much radiation a person can handle without developing cancer is very individual…. You can help protect yourself and your loved ones by ensuring that you have enough iodine in your diet. Iodized table salt is not ideal. Table salt is from underground mines and is processed to remove all trace elements so that only sodium chloride is left. Sea salt contains 80 trace elements, in addition to the mineral sodium chloride. It is always better to use a nutrient that is not isolated, as you never find high doses of a single nutrients occurring in nature. The best sources of iodine may be protein bound. 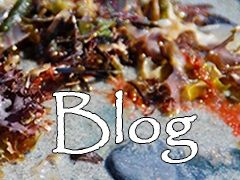 Look for kelp or seaweed supplements. It’s best to start iodine supplementation slowly and build up to a higher dose. As families are stocking up on seaweed, pets may be forgotten. Our dogs and cats have thyroids. In fact, one of our dogs, who has since passed away at 14 years of age, had a thyroid condition. During these times of excess radiation, whether from nuclear fallout or cell phones, pets need iodine too. The easiest way to give your pets that extra iodine is to sprinkle our VitaminSea Pet on their food. They love it, and it is really easy to do. In fact, Dr. Pitcairn recommends it as a daily supplement for pets in his great book Natural Health for Dogs & Cats. The naturally high iodine content of kelp helps it act as an antibiotic in your body as well. When there is an infection in your body, kelp will assist the thyroid to release more iodine into your blood stream and iodine kills infections. It will be best to purchase your kelp from the shores of the Atlantic east coast, away from any lingering radiation that may end up on the west coast of the Pacific.